Bah, humbug……or buy now while stocks last! Fridge magnets – a new venture……. I try not to think about Christmas until the middle of December if at all possible. I’m normally the one wearing the Homer Simpson “Bah Humbug” Christmas hat in a dashing shade of black……..
1. A3 prints in 20×16 inch mounts @ £39.50. 2. 7×5 inch prints in 10×8 inch mounts @ £12.50. 4. 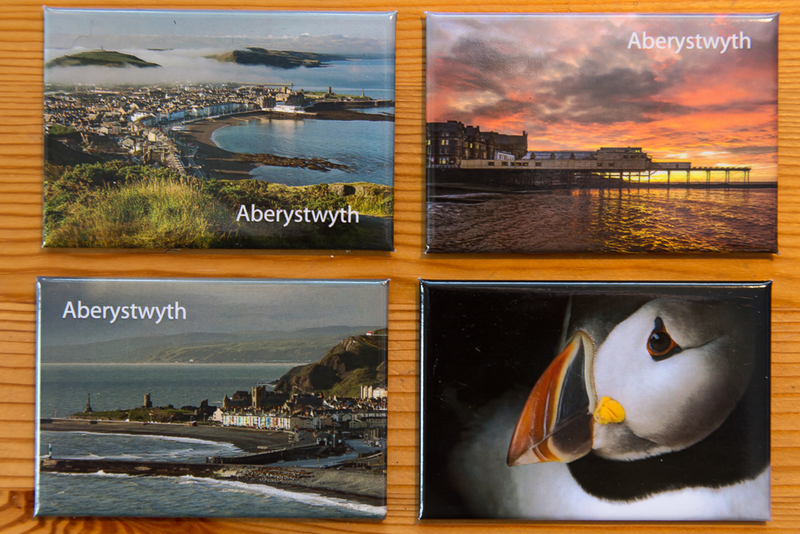 A small range of photo-magnets @£2.50 or 5 for £10.00. The latter is a bit of a departure for me. I’ve spoken to a couple of other photographers who recommended that I should try them. There’s a decent profit margin on them (if you buy sensibly) and they take up very little space. They’re popular with retailers too. So I’ve taken the plunge with my first batch and we will see how they go. The Winter Fair started brilliantly for me, in fact. I spent a couple of hours setting up on Thursday afternoon and during that time sold four prints! The Winter Fair is at Aberystwyth Arts Centre until Christmas and opens Monday-Saturday 10 am > 8 pm and Sunday 12 noon > 5.30 pm. Buy now while stocks last! This entry was posted in Uncategorized and tagged aberystwyth, christmas craft fair, fridge magnets, photo-magnets, photomagnets, winter fair. Bookmark the permalink.